We’re huge Bolts fans in the Phelps household. It took me about two months to get Atley to stop yelling “MOON!” when she saw the Chargers logo. Now she yells, “BOLT!” like a good little girl. 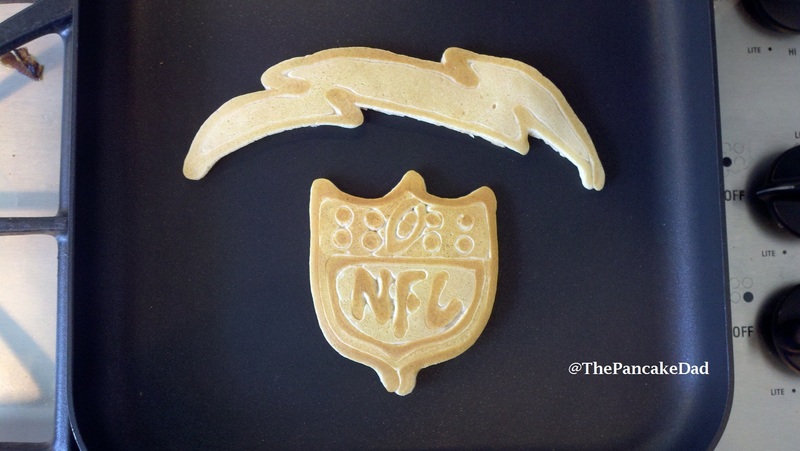 The conversion is complete, and now… so is the pancake. The NFL logo was tough because there’s just no way to make stars that small. Dots had to suffice. 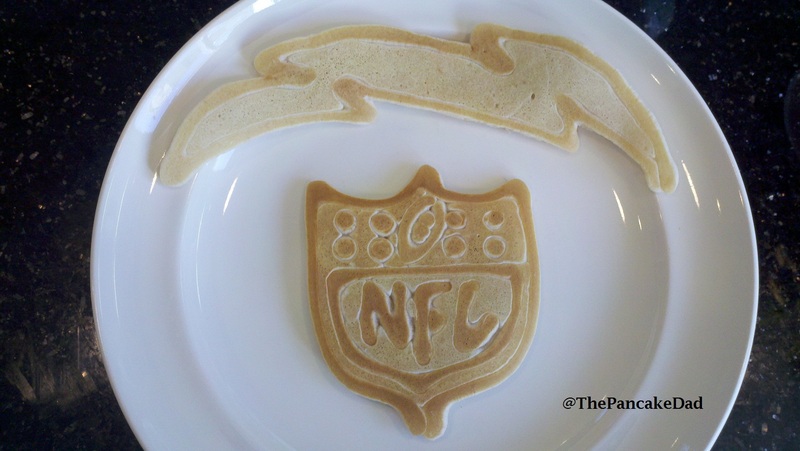 I know a lot of you guys try to make these pancakes I do and get frustrated when they don’t turn out right. As you can see, the ones I do are far from perfect, but you can certainly tell what they are. Just so you don’t think I nail it on the first try every time… here are all of my efforts from this morning. 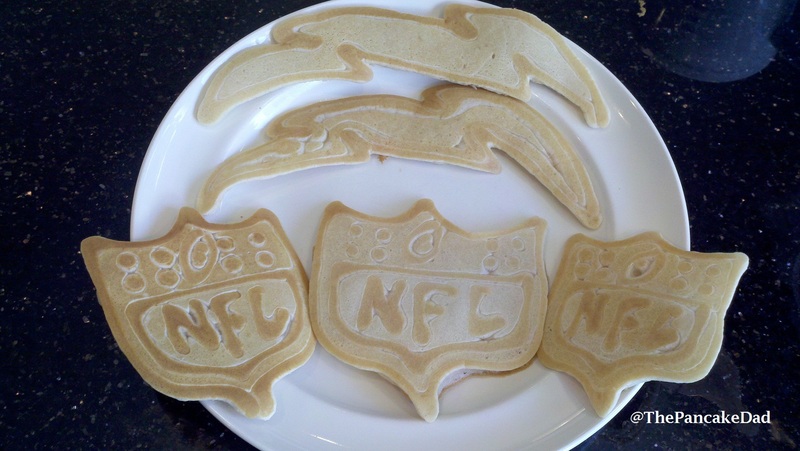 This entry was posted in football pancakes, Pancakes and tagged chargers, chargers logo pancake, chargers pancake, nfl, nfl logo pancake, nfl pancake. Bookmark the permalink. Can’t read that headline without singing the jingle and thinking about Natron Means [business].